We hope you are hungry! 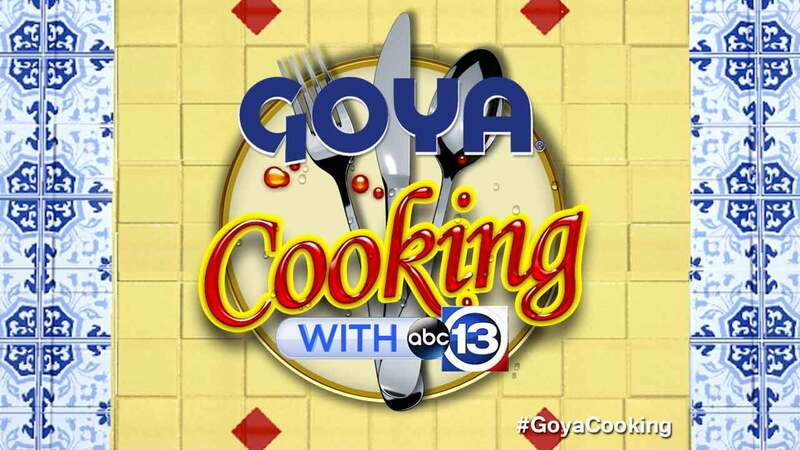 ABC13 and Goya Foods have partnered together to bring you great recipes that you can prepare at home! Each week we will highlight a new recipe and video of ABC13's Patricia Lopez, David Nuno or Mayra Moreno in the kitchen, using delicious Goya ingredients. Let's get cooking! Combine Apricot Preserves, Garlic, Olive Oil and Dijon Mustard in a mixing bowl. Whisk until blended. Add remaining ingredients to a large bowl with your favorite chopped lettuce. Toss ingredients with dressing.